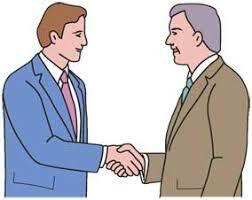 Greetings in English - learn differnt ways to greet people. There are all sorts of different ways to greet people. Today, we learn some of the most popular and useful expressions for greeting friends or other people in relaxed situations. Remember you can practice these greetings with Philip – your Skype English Teacher. You also like to visit the following wiki how page that details more ways to greet people in English. Your skypeclass Teacher Philip will always help you learn more about greetings during your conversation class. You might also like to view this BBC website about greetings in English.